Women Just Like You Are Getting The Results The Want Out Of Our Resolve Program! 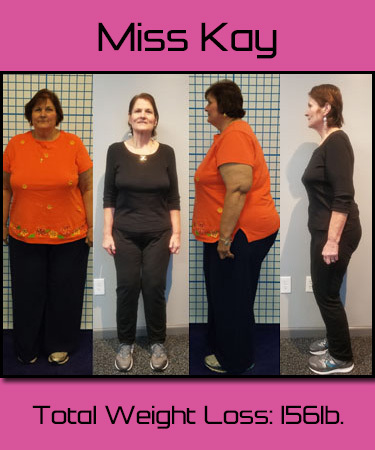 Are you looking to lose weight? Do you want a trainer that understands you? When it comes to the fight against obesity, one of the biggest obstacles people present is that they are frustrated with Trainers who have been fit their entire life and who really don’t understand the physical limitations that carrying extra weight or being effected by the disease of Obesity can cause. At GoGirl Fitness we believe that fitness fits everyone. Which means sometimes there is a need for a class that helps make fitness fit a specific population. 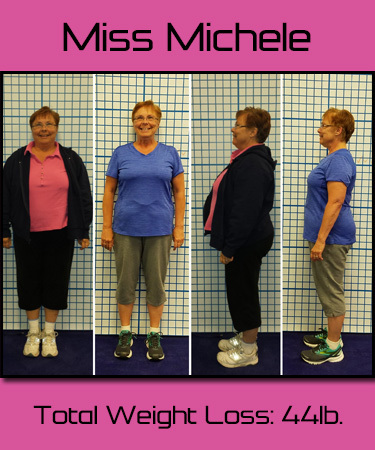 Welcome to GoGirl Resolve – our Group Weight Loss Training Program. 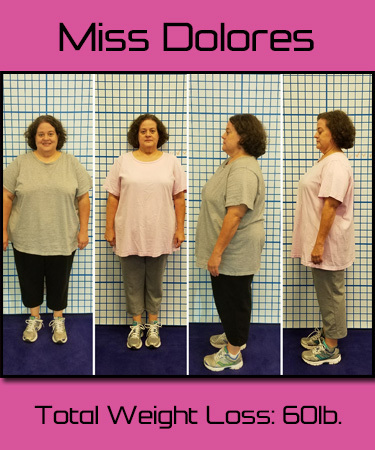 This program is specifically designed for those that struggle with weight loss and are looking to utilize fitness in their fight against obesity. Our head trainer, Pandora Williams is a well known Obesity Rebel. 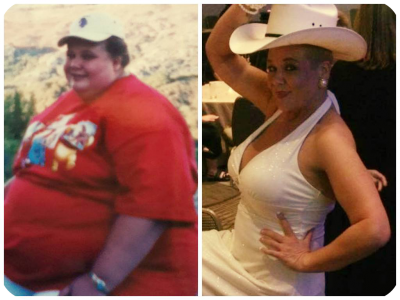 After losing a total of 260 pounds, she dedicated her life to helping others meet their weight loss goals through her “If I can do this, anyone can do this,” philosophy. Look at these reviews from women just like you! At GoGirl Fitness Studio, you enter a truly judgement-free zone. You are welcomed and celebrated. You are more than a number on a scale and we are determined to let you know that! Within our GoGirl Resolve Weight Loss Training Program we still modify or intensify exercises as needed to insure we are delivering you the most beneficial workout we can. But we know what your body can and can’t do. You will be pushed to do your best, but you won’t be pushed over your limit or set up for failure by a trainer that asks you to do something that you can’t. We don’t yell and scream at you during workouts; we encourage you and show you how to do it. We’re not drill sergeants barking orders at you, we’re your biggest cheerleaders, encouraging you to find the fun in fitness and figure out how fitness fits you and amplifies your weight loss. 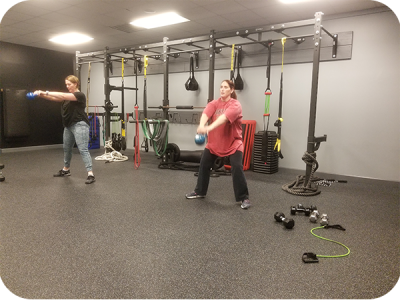 Our Resolve programs yields results, not just because of the amazing workouts it incorporates, but because it offers clients just like you a positive and supportive environment to explore fitness in. You’re surrounded by a Trainer that understands you and other women in the GoGirl Community that are struggling to lose weight just like you are. 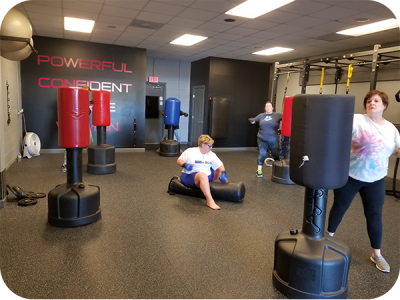 At GoGirl Fitness Studio we believe that every single client can get the results they want and be the Rock-star of their own weight loss journey just like Pandora as long as they are willing to do the work and we offer the perfect program to get your started. GoGirl Resolve – because YOU have the Resolve to get the results you want, and the best program we can offer to help you discover it.